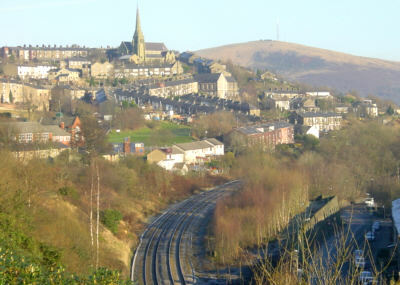 The areas of Mossley around Stockport Road and Carrhill Road are known as Roughtown and Milton, and were originally part of the West Riding of Yorkshire, before being transferred to Lancashire. 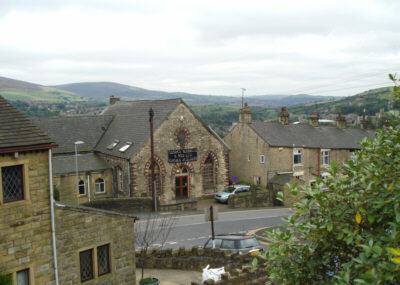 Looking towards Roughtown from Stamford Road, Mossley. 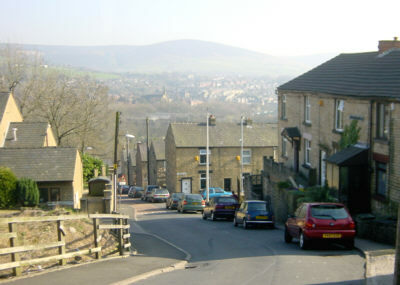 Looking up Roughtown Road, Mossley towards St John's Church. 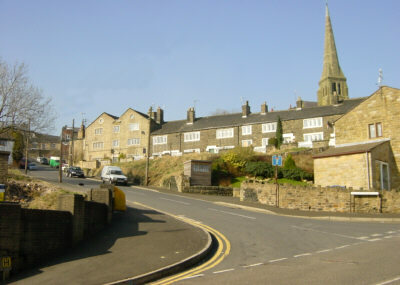 St John's Church, from Carrhill Road, Roughtown, Mossley. 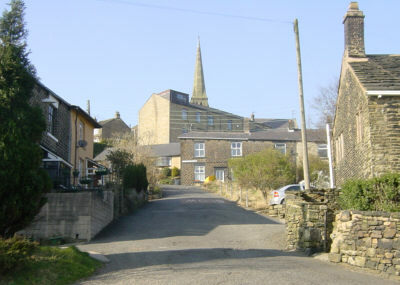 Mill Lane, Milton, dropping down steeply to Woodend. 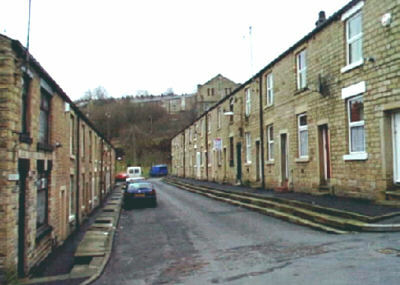 Stone terraced houses in Vernon Street, off Mill Lane. Looking towards Greenfield in the distance from Quick Edge. 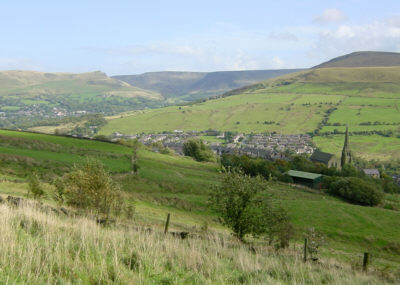 Mossley's Hey Farm Estate is in the centre with St John's Church to the right. 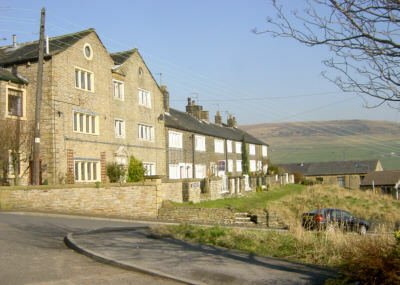 Built as a "British School" (non-denominational, known as Pickles School) this Victorian building in Carrhill Road is now the home of George Sixmith Organ Builders.